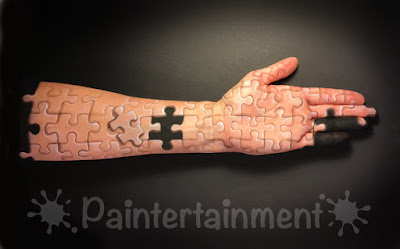 Last night I spent about an hour painting my arm like a puzzle! 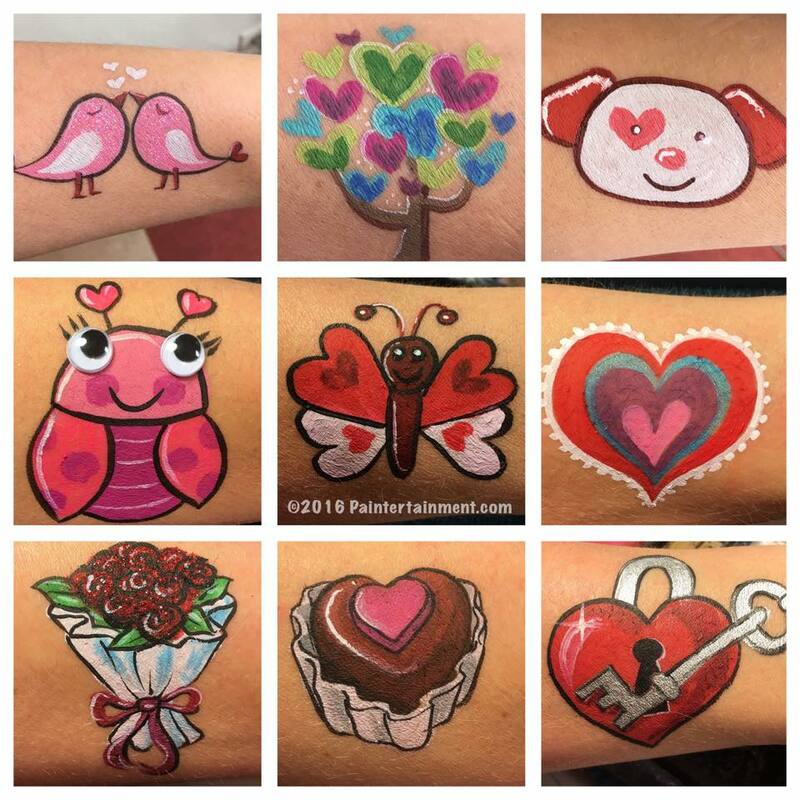 I had a little fun doodling some ideas for Valentine's day cheek art today! I have never taken a gig on Valentine's day, because we enjoy the day as a family. 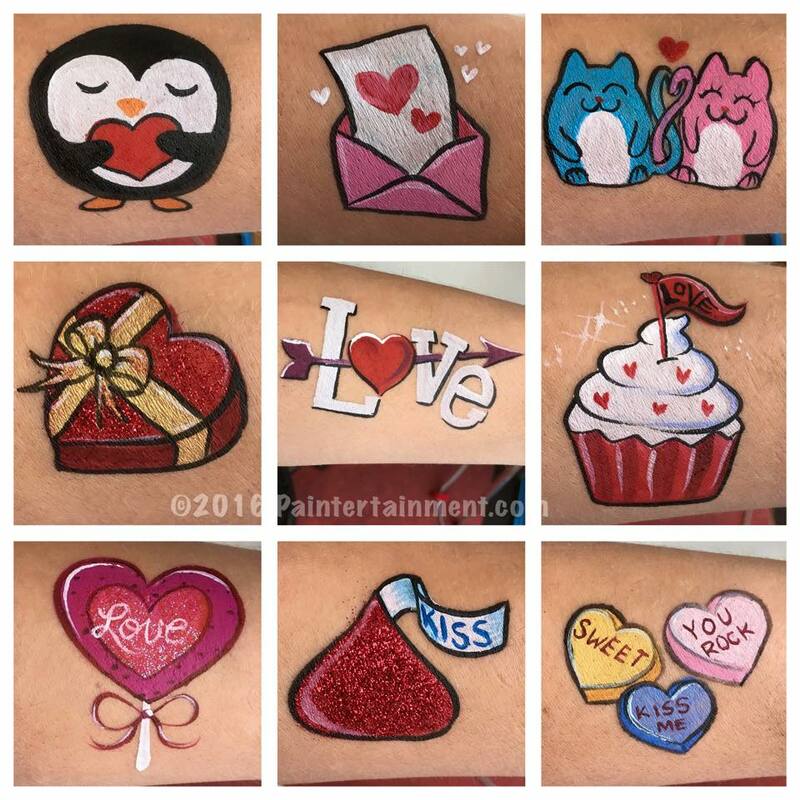 However, I do love coming up with new designs for every holiday! 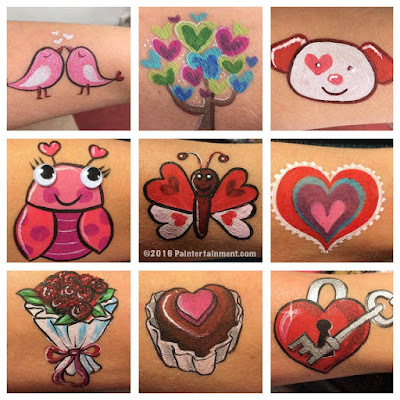 Most of these were inspired by Valentine's stickers...one of my favorite places to look for cheek art ideas! 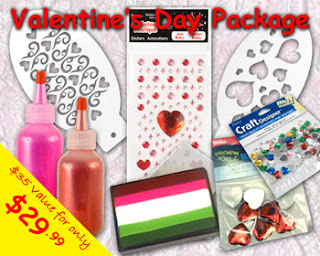 Looking for some fun supplies to take your Valentine's day designs up a notch? 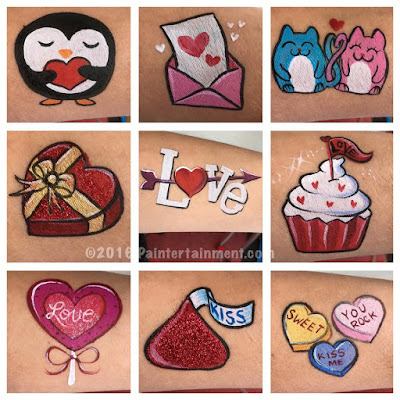 Check out our Valentine's Day package deal! 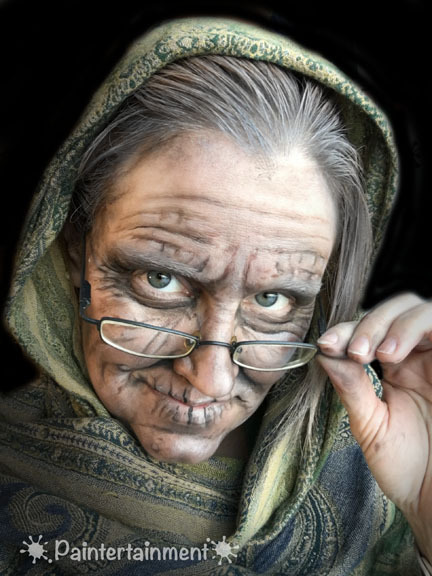 I recently tried my hand at painting an aged look for the first time...here's how I turned out! Thanks for watching! Subscribe to my YouTube channel for more videos! I have recently posted several more videos on my painting kits, and thought I'd share them here for my blog followers! Be sure to subscribe to my channel if you'd like to keep up with more videos. This next video shows you my "everyday" kit that I take to most of my events. Contest entry: "Be Sure an' tell 'em Large Marge sent 'ya!" When I was little my siblings and I loved watching Pee Wee's Playhouse, and to this day have just about every word of the movie Pee Wee's Big Adventure memorized!! 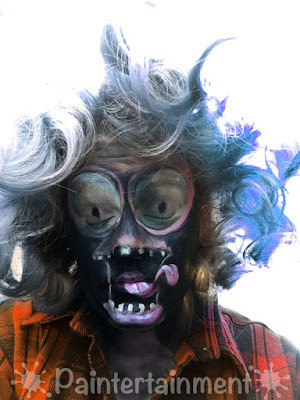 So when I went searching for inspiration for Illusion's latest Tim Burton inspired contest and found out that Tim Burton had actually directed this movie, I just had to enter a painting of Large Marge! Ha ha...hopefully I don't give you claymation nightmares now! 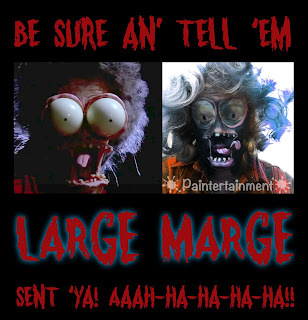 ;-) Thanks for stopping by, and "be sure an' tell 'em, Large Marge sent 'ya! Aaahahahahahaaa!!!" Just how small can you go? 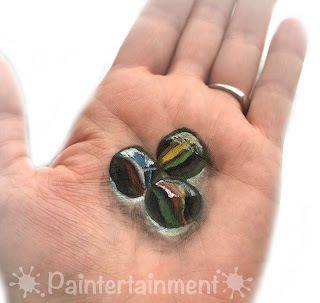 That is the question I set out to answer when creating this super miniature pocket-sized paint kit! 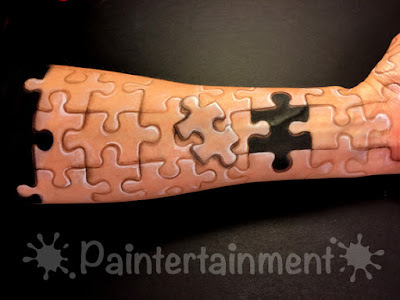 I used this kit a few years ago when we went on a Disney cruise, to bring along just enough supplies to paint my boys for pirate night. I've since found the perfect little case for it, and re-packaged everything nicely. Check out this video for a tour of it! 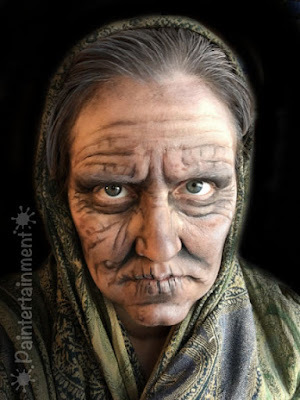 7 years ago I posted my first YouTube face painting video, and haven't done much with YouTube since. This year I am completely updating my channel, refreshing it with all new videos. Stay tuned for a re-do of my yin & yang tutorial, and hopefully many more to come!